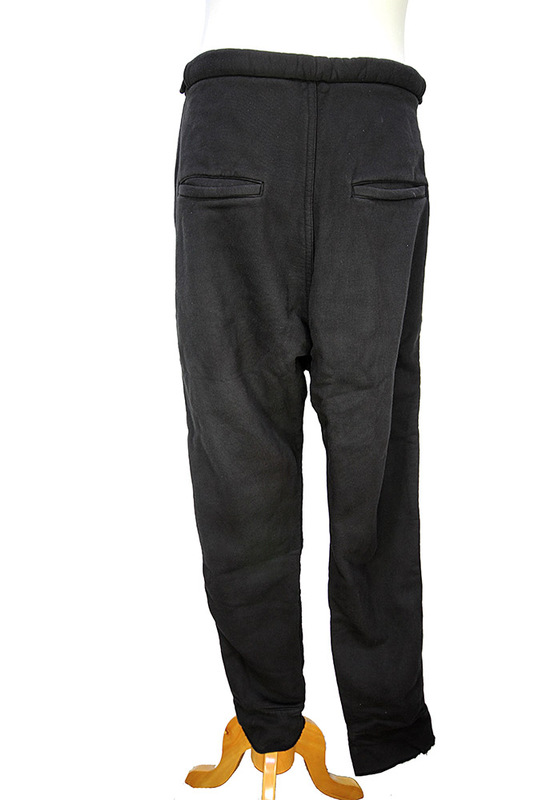 Rundholz Dip Collection overdyed, heavy-duty fabric, low crotch trousers in black cloud colour. 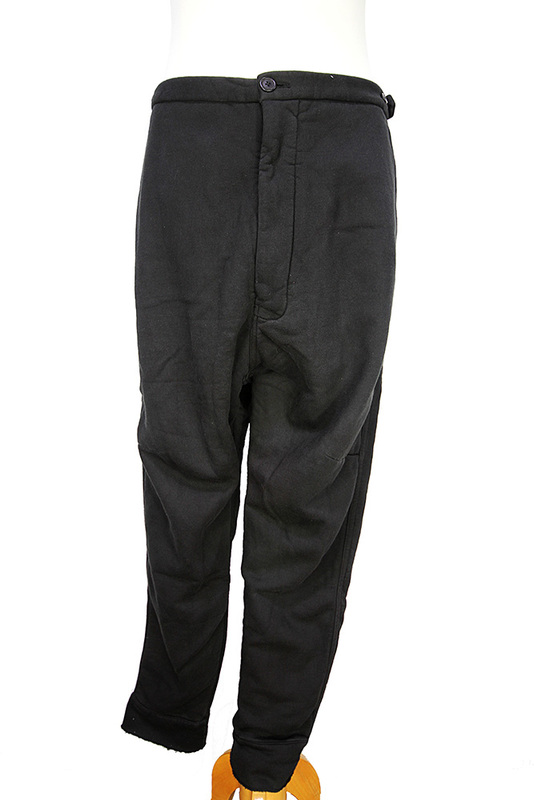 Waist adjusters with button fastenings and button and zip fly. 2 side pockets and a single pocket at the rear. Raw edged hem panels. Fully lined. Awesome trousers in a brilliant heavy fabric, recommended!